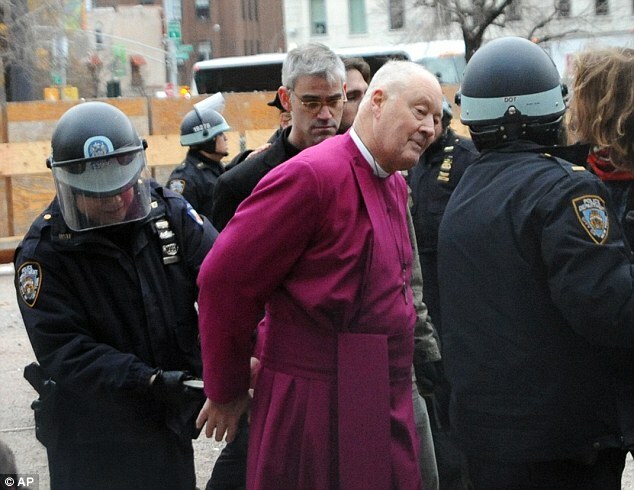 On Saturday, a retired bishop was among more than 50 people arrested after the Occupy Wall Street movement stormed another New York City park in an attempt to find a new home. 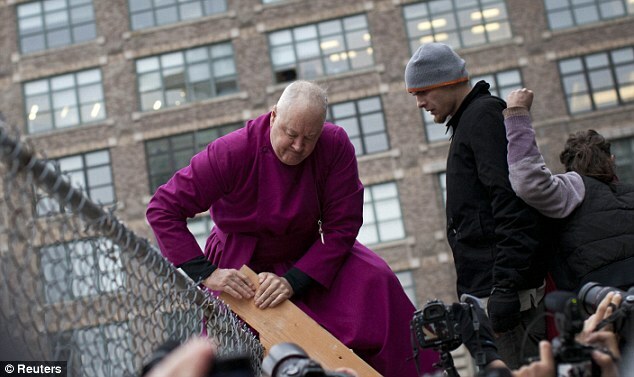 Former Episcopal bishop George E. Packard was led away in cuffs after climbing a ladder to illegally enter Juan Pablo Duarte Square in the west SoHo neighbourhood of the city during the demo. He was one of hundreds of demonstrators, members of the clergy and elected officials who descended on the park and scaled a chain-link fence by a lot they’re eyeing as a new campsite. Packard, who is affiliated with the movement, writes a blog under the title ‘Occupied Bishop‘. Following his arrest, his wife updated the blog with details of the day’s events, claiming she was repeated ‘kneed’ by a police officer. 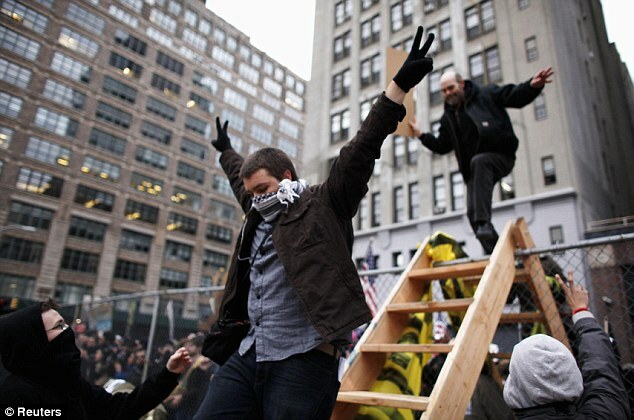 The protest came on the three month anniversary of the movement, police said. The park is owned by Trinity Wall Street Church. 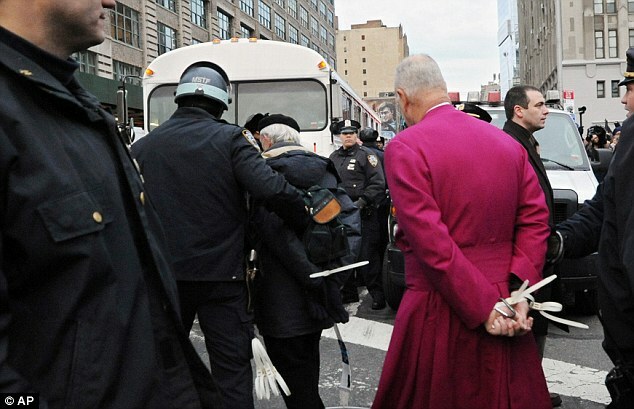 According to NBC New York, church officials said that while they support the protestors, the space is not theirs to occupy. What a great set of photos to share! 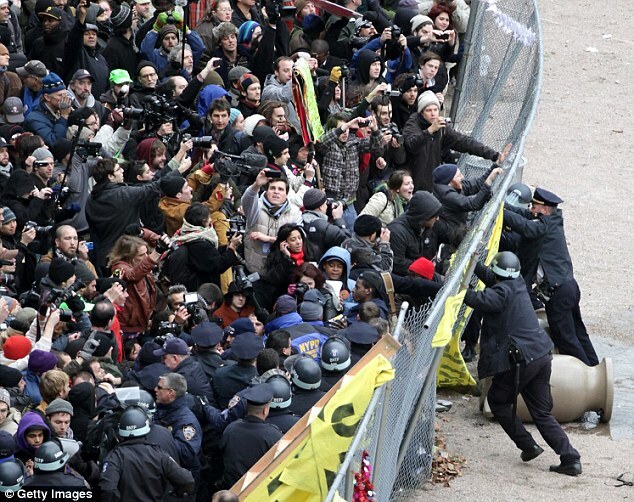 These shots seem to undermine the Occupy movement. 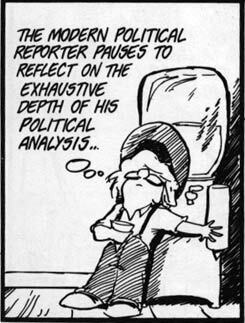 Then again, the way the media distorts things who knows what the truth is anymore? 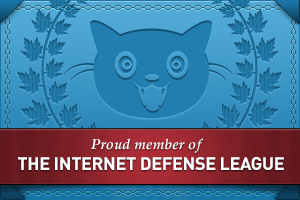 Well, I have to say (and I’m a supporter of this movement)… I really don’t agree with these tactics. The park they wanted to occupy is private property, and the owner (the church) has a right to say “no.” I think this was a poor decision they made. And the photos are showing what happened, and pretty much follow the stories I read from protesters as well as the media. I am so done with OWS. 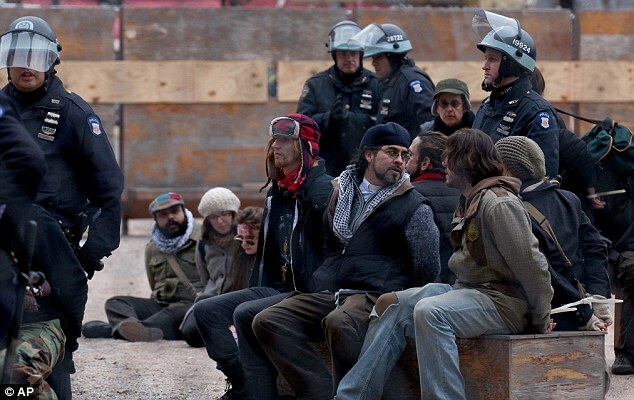 I agreed with some of their main ideas and their peaceful sit-ins/occupations to begin with. But they have degenerated into lawlessness, defiance of lawful police orders, trespassing, destruction of both public and private property, etc. In Denver alone they have cost us hundreds of thousands of dollars for police protection and enforcement and the clean-up and repair of damaged property. They are no longer accomplishing anything positive and if they had any sense of responsibility at all they would disperse and come up with new tactics. Their only real voice is in Washington and at the ballot box. Anything else is just hooliganism. I am not “done,” but definitely getting frustrated. I don’t know if you saw my follow up post, but I disagree with these tactics. 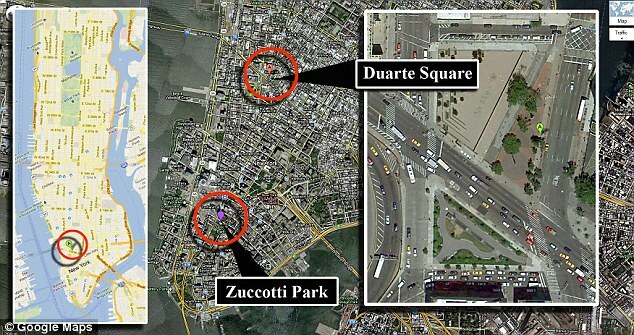 Yes, I’m fairly sure that the Trinity Church is corrupt, but it is still private property. 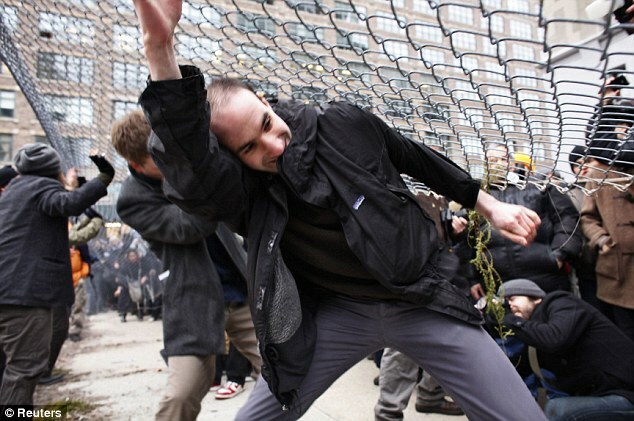 The Occupiers are not exempt from the laws about private property. Anyone can still protest, but may need to be creative with it rather than getting out of control.